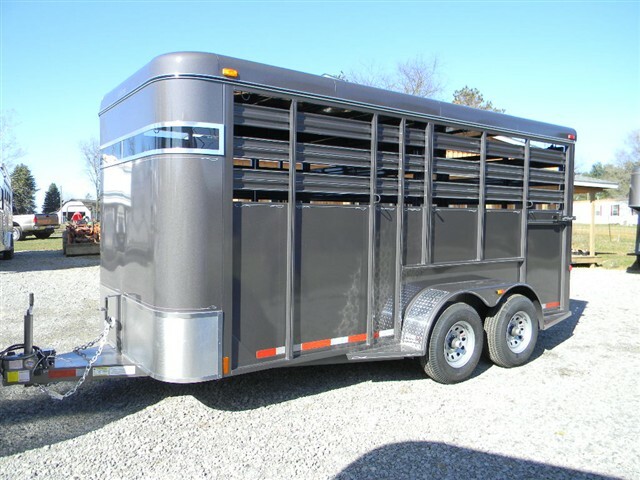 Description: Park Side Trailers Sales & Service, Inc. has available for immediate purchase a 2012 B-62-16, Overnighter. Loaded with options!! This trailer features Extra height-7'tall, Extra width-6'6"wide, Upgraded axles, 5200lb. RUBBER TORSION RIDE, (8200 G.V.W.R.) 6-Lug wheels, 8-ply tires, 4-wheel electric brakes, upgraded 2 5/16" coupler. This trailer comes standard with full rear door with slider, center gate, escape door, wrap window, outside and inside tie rings, heavy duty chains, caster wheel, brake-away battery. For more informaton or to purchase this trailer, please call Rhonda at(330)692-0374, or e-mail Rhonda@parksidetrailers.com.